Jeff Bezos and friends are on a bit of a spending spree. Amazon just announced that it’s looking to drop a cool $5 billion on a “second headquarters” that will employ as many as 50,000 workers. In characteristically splashy fashion, the company also announced that cities across North America will get to bid on the project. We can only assume this will be a competition for the biggest tax breaks. Establishing two official headquarters is a weird thing for any company to do. Big international companies like, say, Apple might have a European headquarters in addition to its main headquarters in Silicon Valley. Typically, companies claim just one headquarters in its home country. Amazon does like to be different, though. This part of the plan is where Amazon has lots of experience. 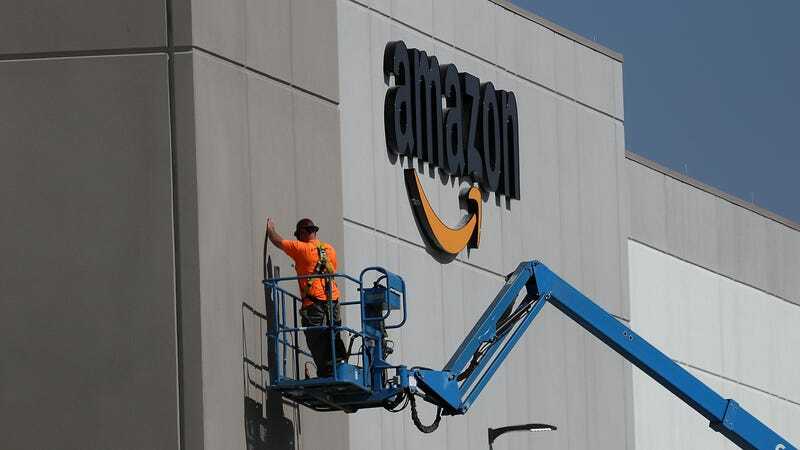 It’s long been the company’s practice to work with local governments to come up with a set of deal that’s appealing to both parties, and location matters to Amazon since it wants to get orders to customers as quickly as possible. (Trading tax breaks for jobs has also been the way that companies decide where to build offices and factories since forever.) Recently, Amazon has been building loads of fulfillment centers around the country, each of which creates thousands of jobs. The company is even building its first fulfillment center on Staten Island in New York City. That project got announced on Wednesday, the day before the Amazon HQ2 news. For now, it’s anybody’s guess where Amazon will plop down its second headquarters. It probably won’t be Alaska or Hawaii. But amongst the lower 48, Canada, and Mexico you can place place your bets now. Correction 11:20am: An earlier version of this post implied that Amazon’s new headquarters would be located in the United States. In fact, Amazon is considering locations throughout North America.